Bigham Knoll #3 | Historic Jacksonville, Inc. When Jacksonville’s 36-year-old wooden school house on Bigham Knoll burned in January 1903, within a month the School Board made plans to raise a new fire proof brick building. 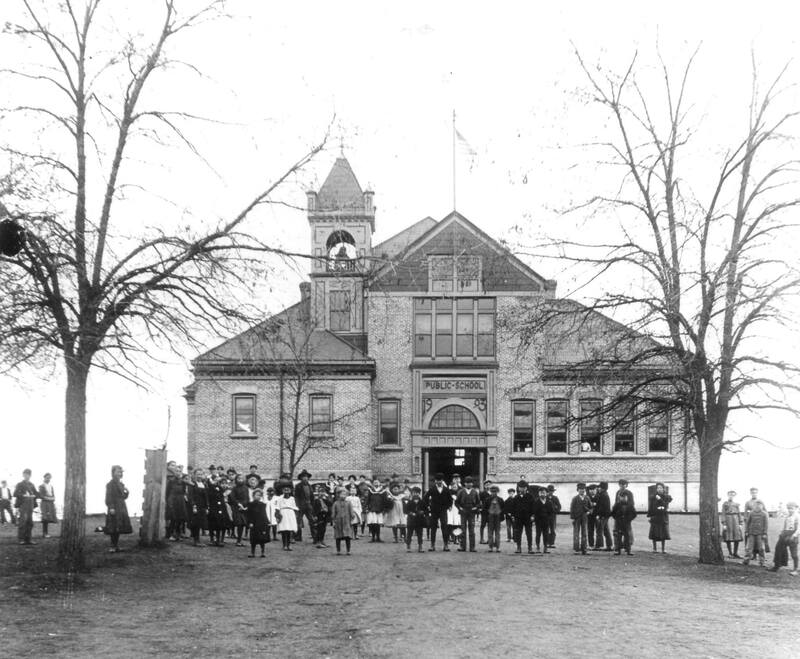 S. Snook, contractor “for so many of the new school buildings of the better class in Oregon,” erected the new 5-room brick structure. However, the best laid plans…. Four years later this “fire proof” brick structure was totally destroyed by fire on December 13, 1906. Even though the building was not fully paid for, the voters quickly approved a bond measure for another school.